To be honest I never would have discovered this world if it wasn't for an old friend. I had started to see images on social media of an Academy called The Art of Jiu Jitsu, AOJ for short. The style of the shots, the space, all white and black, very simple, super sharp caught my attention but it was the look on the kids faces that stopped me, made me dig deeper. These kids were SO happy. Stoked on life happy. Watching these tiny beings master these techniques, have focus and being so respectful to their peers and coaches made me want to explore a sport I knew nothing about. 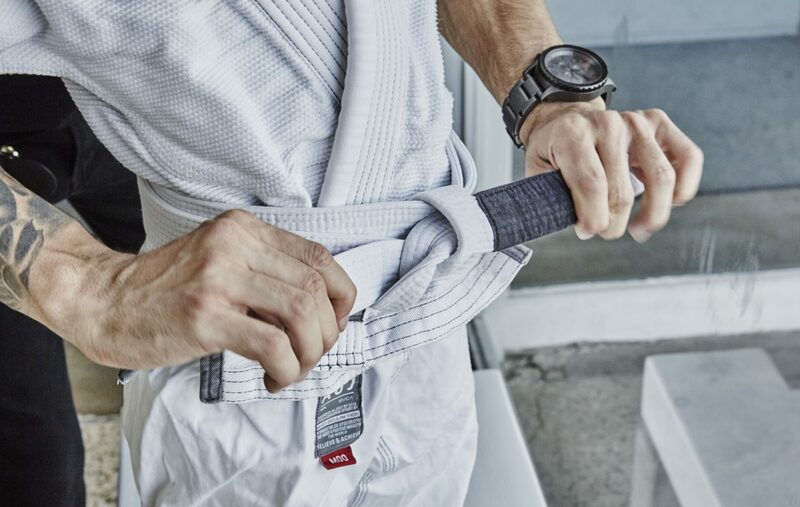 Further down the rabbit hole I discover the Academy is co-founded by said friend RVCA founder Pat Tenore and brothers Rafael and Gui Mendes; who I soon learn are revered within the sport for defining what is now known as modern Jiu Jitsu. Between them they have an incredible ten black belt world championship titles and alongside their team have built the best Jiu Jitsu school in the world. Their story which starts in a small town in Sao Paul, Brazil is one of strength, determination and family devotion. Now both father's themsleves, Gui has a Alya who is one and Rafael has two children, Alek who is two years of age and one year old Lexi, it is obvious that family and community play a paramount role at AOJ. It was after we spent an afternoon at the Academy in Costa Mesa, California where Sugar and Captain were invited to join a class (their first ever and can I tell you it was one of the best things they have ever done) that I walked away wanting to know more about these brothers who were shaping the future into strong, respectful and confident adults. Describe growing up in your hometown in Brazil? How did California become “home"? Rio Claro is a small town inside of Sao Paulo. There is not much to do there and most of the people live the lifestyle of working 8-12 hours shift in a factory or store to receive enough money to barely pay the bills. To us it was like living in a bubble. Most of the kids follow the same path as their parents and it also becomes their routine. We started training at 11 and 12 years old and at young age we were presented with the opportunity of traveling the world if we become champions in the sport. It was always a goal for us to win as much as we could so we did not have to follow the same lifestyle as everybody else. California is what we always dreamed about. It is totally different than our hometown; it’s perfect for us and for our families. Rafael you were eleven, and Gui twelve when your cousin introduced you to Jiu Jitsu. Was there a particular moment or event that made you realise this was what you wanted to devote your life to? When we saw the chance to do something that we love everyday and use the lifestyle to create opportunities for us to become successful, we had no doubt that it was going to be the tool to build our future. Were your parents happy with this decision or did they want you to choose a more traditional occupation, something less risky than being a professional athlete? Our parents were going through a divorce and we left the house with our mother. It was a very delicate moment of our lives and our father was not present. Our mom was working full-time to provide and was happy that we were doing a sport and we had goals in our lives and good examples, so she supported us 100% since the beginning. It’s quite amazing that you've both been side by side since you were children; as brothers, athletes and now business partners. Why does it work so well? Just like any other relationship, it has its good days and its bad days, but we’ve learned how to stay together through the ups and downs. Our mom always taught us that family is the most important thing that we have and we were always very close. Have you had to compete against one another? If so, has competition ever come between your relationship as brothers? When we were kids we used to compete in training, trying to see who was better, and it was always a great training session. Besides the competition in training, which is great to have, we never had any other competition between us. 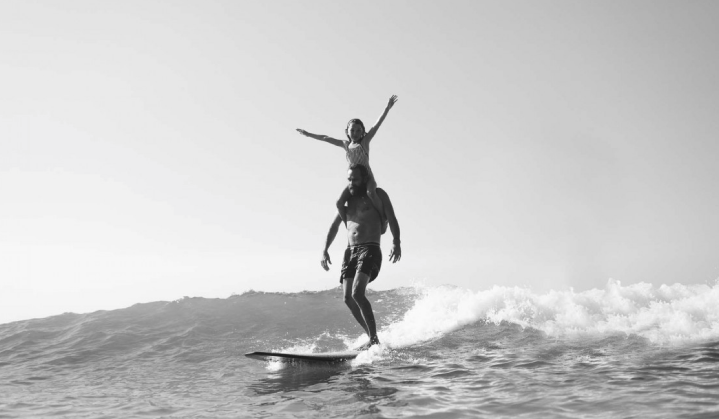 What role has family played in your journey? The fact that our parents got divorced when we were really young made us mature really fast and become the men of the house to help our mom with the decisions and support her in everything. Family was always our source of strength to achieve our goals, especially when things did not go as planned. They say that when raising boys, having a mentor is key to navigating the teenage years. Do you think the sport provided that for you? Yes, for sure our Professor Ramon Lemos was the father figure that we needed at that time. He was energetic and very tough on us and it pushed us to excel in the sport and develop our character as we matured. 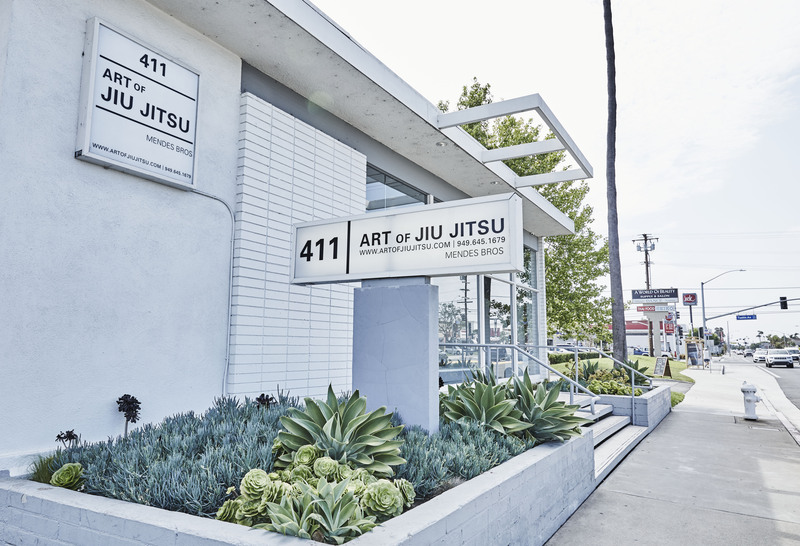 You have both co-founded The Art of Jiu Jitsu Academy (AOJ) with RVCA founder Pat Tenore. How did that come about? What is it like working with Pat? Pat is another person who had also a great influence in our lives and has helped us to achieve a lot of our goals in life; things that we will never be able to pay back. We learn so much from him, whether it’s advice or even from just watching him, and we are forever grateful for everything he does for us. AOJ was his idea. We met him in 2007 when we were 16 and 17 years old and were coming to the United States for the first time to compete at the Worlds Championship (to pay for the air tickets we had to teach private lessons to a business man from our city 2 times a week for a full year, compared to today where we could pay for both air tickets with one 3 hour workshop). Pat was training in a small academy that we were also training in to lose weight for the competition and he asked us to spar with him. After the round of sparring he told one of our friends that could speak english (since we could not speak english at that time) that he liked us a lot because we were humble and hard workers, young and we knew what we wanted, so he invited us to go to RVCA and get some clothes. The next day we went there and he said that if we win the Worlds championship in every belt level he would open an academy for us. After that day it became our main goal and we achieved it in 2012, the year we moved to the United States and opened AOJ. Pat had the vision for the design and we had the vision for the classes and curriculum. This combination made AOJ the best jiu jitsu school in the world. I've never experienced anything like AOJ. It was the first time I had been into an Academy and the first time Sugar and Captain had participated in a class. I was so moved by the respect and discipline that the children were encouraged to practice that we immediately signed them up when we got back to Australia. There was such a strong sense of dignity and pride in their practice which flowed from the instructors to the children and back again. Your children’s programme is world class and clearly a very important focus at AOJ, why is that? We started young and jiu jitsu not only gave us opportunities to provide for our families but most importantly it developed our character and built our confidence to succeed. Our main goal in the kids program is to help the kids to develop life skills that will help them to become strong, respectful and confident adults. I also like to encourage them to compete, because competition teaches them that hard work pays off, and when it doesn’t you need to stay strong and keep moving forward. It also teaches them to overcome fears and how to control their emotions. What kind of impact has AOJ had on the local community? I believe we have been doing great work in the community, impacting families lives with a healthy lifestyle. I was reading that you were so much lighter than your competitors and invented the technique “modern Jiu Jitsu” to turn what was considered a weakness into a winning advantage. Is this the technique you mostly focus on at AOJ? How is it different from more traditional techniques? 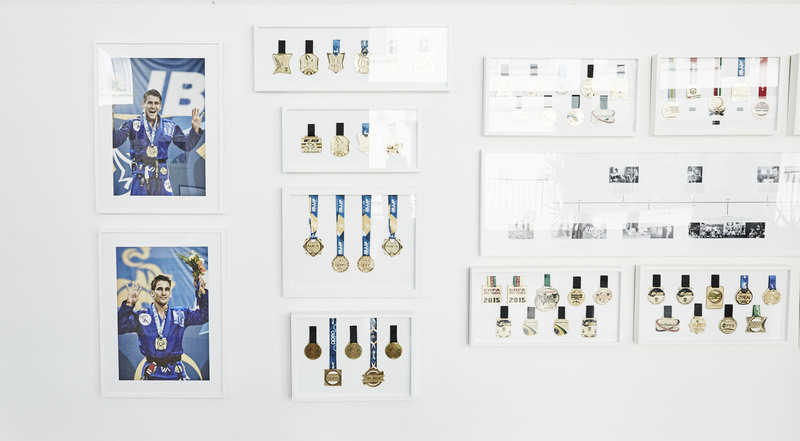 As competitors we developed and introduced new techniques to the sport. The main reason for that is the fact that we were really young and passionate about the sport, so we would spend hours upon hours on the mat studying. Anything that you do with love has an enormous chance of becoming successful and it was not any different with us. At AOJ we focus on helping people achieve their goals. It doesn’t matter if it is to become a champion, lose weight, learn self defense or to just practice a sport and make new friends. I’m sure there were times when you were both told because of your weight that your dream was not possible. What advice do you have for kids out there who feel this way or might be going through something similar? You have both dedicated what seems your entire lives to Jiu Jitsu. Is this a dream you have for your own children; to continue this community and life? Yes, even if they don’t want to be competitors we really want them to experience all the lessons they can learn from the sport. What's the future for AOJ? The future for AOJ is to reach more and more people and continue to have a positive impact in their lives. Last but not least what would you say to parents out there who are considering the sport for their children? Also if you're new to the sport can you suggest any tips on how parents should approach choosing the right academy and technique for their child? First I would encourage the parents to search the background of the professor and watch the classes to see if its a good environment for their child. Then let them fall in love with the sport, never pushing or asking for results. If they love what they are doing they will give their best and eventually will improve. If they feel pressured to have good performances in training, it’s just a matter of time until they quit. Rafael and Gui would like to invite you all to visit the Art of Jiu Jitsu academy in Costa Mesa, California or watch the adult classes online on artofjiujitsu.com. Follow @artofjiujitsu and the Mendes Bros on instagram. Thank you to Pat, Rafael and Gui for having us at your school. We really took away so much from that visit contuning classes here in Australis for the kids. Thank you to Austin and Mason for helping us put this feature together and giving us your time. To the coaches who were SO great with the kids it was such a wondeful afternoon for them because of your patience and kindness. Legends.